SHORT STORY: What’s it all about? I am a Geochemist (#daughter, #motheroftwo, #wife, #PhDstudent and #scientist) with an enormous energy and variety of ideas to develop and collaborate in projects that help to make better decisions for our planet and (global) society. There is a lot to do, create and help! Homeward Bound Program came to fill the gap I feel. This Australian initiative/program has planned to gather 1,000 women in STEMM over a period of 10 years and empower them to break stereotypes. And I am one of them! I am 1 of 5 Latin American women which belong to the third cohort #HomewardBound19! The program will form and heighten our leadership and strategic potential, delivering 12-month coaching course which will finish with an expedition to Antarctica. It will be a three-week intensive training by world-leading experts in leadership, planning and strategy, but also in polar science, climate change, and gender equality. Can you imagine what we can achieve together? To make my participation real I must cover the expenses related to the expedition: USD 16,000 (AUD 21,000) (e.g. ship for 21 nights 12K plus others such as accommodation and operational contributions 4K more). This amount is just a fraction of the total program cost due to it is partly sponsored. Founders, experts and collaborators are donating their time and expertise to train us, which costs exceed USD 10,000. Therefore, I ask for your support to collect those 16K by donating or sharing this post! It is not about me! it is what I can do for others! A gender imbalance is still present in many countries around the world and needs to be tackled. Although, there is some progress in the figures related to completed undergraduate degrees reaching in some areas the parity. It has been demonstrated that higher you go on a hierarchal scale in an organization fewer women will be present in overall. For instance, in Australia 1/5 of senior professors in STEMM are women. In other regions, such as Latin America & Caribbean, women representation varies between 7 to 30% in 31 of 36 countries ministerial boards (last presidential period). So, What about if we mentor other women? Our perspective, as women, needs to reach the leadership tables. More diverse we are, more effective the solution will be achieved. Being a PhD student in Australia has represented an extraordinary opportunity to grow as a professional and world citizen, but it also possesses some restrictions, in terms of work rights. So, I cannot raise the cost of the voyage (16K) by my own. That is where your donation (big or small) makes a difference. Let’s talk about how to motivate other women: #mystory & #theirstories. Support our journey to Antarctica to promote women's leadership in STEMM, climate change and gender equity. We can stop losing female talent, we all count because we all live on the same planet. Mentoring children is a key factor to keep their interest focused on science. So, for each 500 dollars reached from now I will be supporting two local schools by presentations, activities and experiments. The aim is cross over Australian borders and join to science mentors in Latin America as well. If the weather is against us I will use a bucket full of ice!! 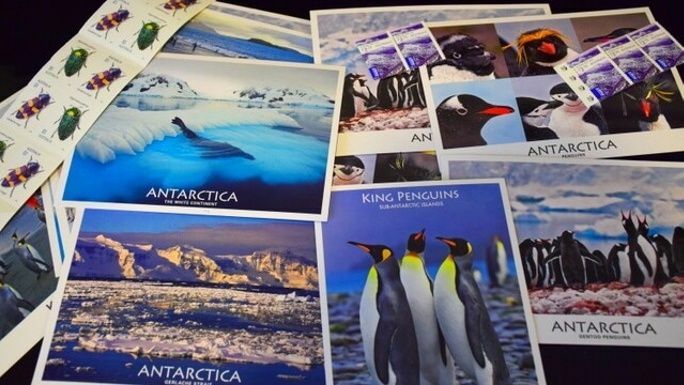 You will receive a Post Card from the southernmost travel destination on earth! It will be sent from Port Lockroy, Antarctica. If weather conditions make it difficult I will send it from Ushuaia. 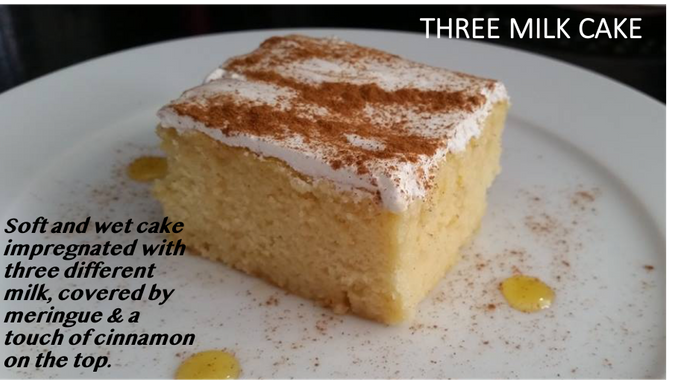 Everybody loves my "Tres Leches" Cake, so why not include it in my list of fundraising perks!!! Soft and wet cake impregnated with three different milk, covered by meringue & a touch of cinnamon on the top. The three most stunning photographs of Antarctica from my voyage to Antarctica. You will get a digital (monthly) calendar with photos from my voyage to Antarctica. * $7,560 in offline donations included in total.